The interim report back in May showed that ‘Takenoko no Sato’ had a clear lead, however, pushed by the strong supports from several celebrities and updated manifesto, there was a big surge in the votes for ‘Kinoko no Yama’. Yes, very close…, but there has to be only one winner. Sadly, the celebrities’ support for ‘Kinoko no Yama’ came too little too late. A 38-year long battle between them ended in ‘Takenoko no Sato’ victory. The referendum chairman, Mr. Jun Matsumoto, praised the rivals who had endured firece competition and thanked all the supporters on both sides who fought hard throughout the 5-month long campaigns. OMG. 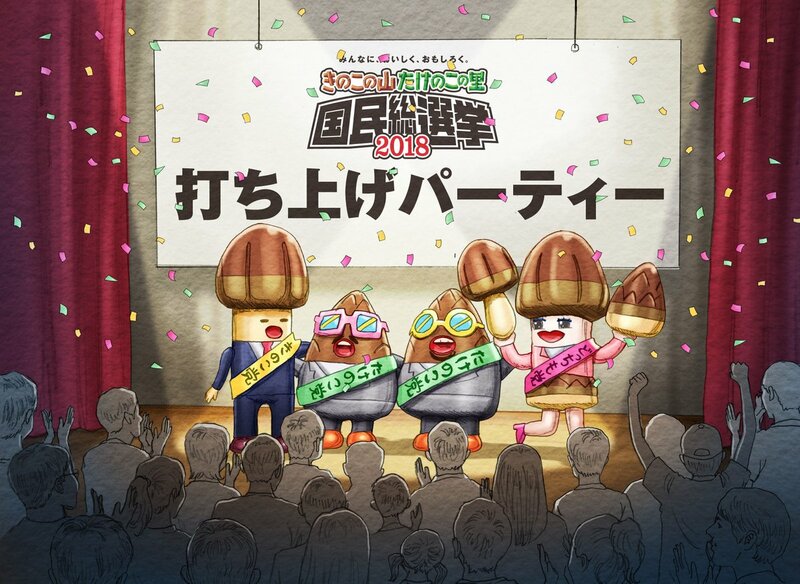 How exhausting… I bet the ‘Kinoko no Yama’ campaign team is secretly thanking God for making them lose.